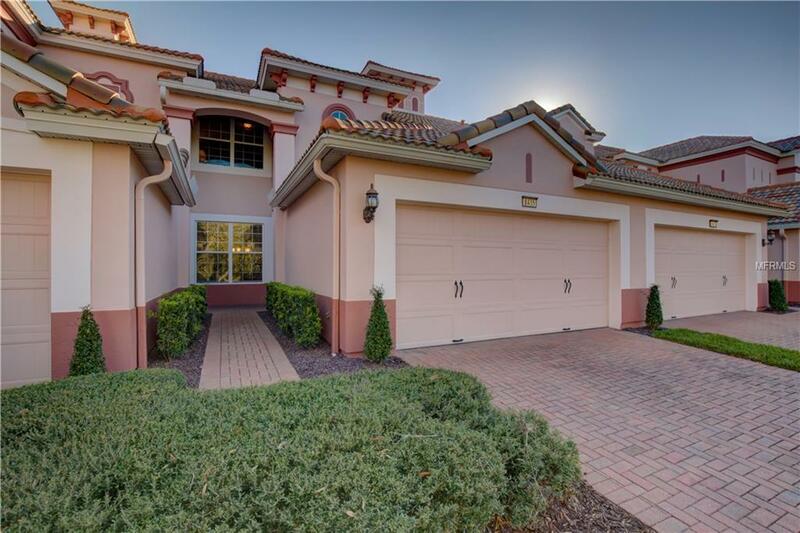 Magnificent townhouse in the highly desirable guard gated community of Bella Trae in upscale Champions Gate. Original owners, only used 4 weeks of the year since new, very gently used. Downstairs is an open floor plan featuring a large kitchen with eat in space, overlooking the living room with wooded views out back. Screened in lanai to enjoy those wonderful Florida evenings. Inside utility room offers convenience and extra storage. Upstairs are all 3 bedrooms and 2 full baths. The master suite boasts the same great wooded views. Master bath includes dual sink vanity, separate shower and garden tub. Extraordinary walk-in closet with plenty of space. Furnishings are negotiable. Bella Trae is a guard gated community with a recently remodeled 12,500 square foot private clubhouse featuring a state of the art fitness center, heated pool & hot tub, putting green and much more. The HOA fees include, grounds maintenance, high definition cable, high speed internet, pest control, and building maintenance. Conveniently located to I4, restaurants and shopping. This is maintenance free living at its best! Additional Lease Restrictions Hoa Must Approve All Leases. Pet Restrictions Check With Hoa As Some Breeds Are Restricted 2 Pets Per Property Max Weight Of 50 Pounds Per Pet.